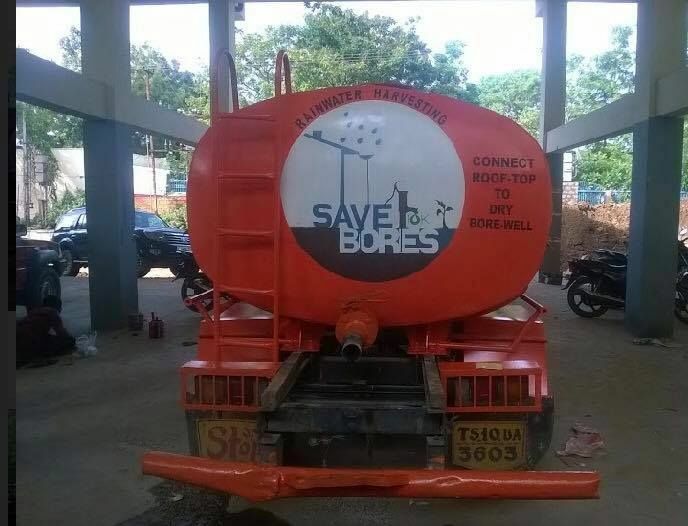 With an idea originating from a TEDxHyderabad Salon on Civic Responsibility in 2016, a passionate group of volunteers, water experts and rainwater harvesting professionals embarked on a major drive to get 10K borewell recharge structures built in Hyderabad. While the city progresses forward in technology and development, we unfortunately are progressing backwards in creating sustainable resources for the future us and it is clearly evident in the increasing scarcity of water availability in many areas in the city at present. Statistics show that more than 10000 new bore-wells are drilled every year in the city in addition to the already existing over 25 lakh borewells; out of which 50 percent are either defunct or dried up. Alarmingly, we are also staring at the problem of bore-wells stopping to yield water completely in some years due to lack of proper storage of rainwater to be stored or be absorbed into the soil. The predominant topography of the city is sloping rocky terrain of grey and pink granites dotted with small hills of the Deccan Plateau region. As of 2016, the groundwater level was at 15.6 MBGL (meters below ground level), which is of very huge concern to be addressed. It is the need of the hour to restore and recharge the dried-up bore-wells through rainwater without further drilling, digging, breaking of walls, or construction. 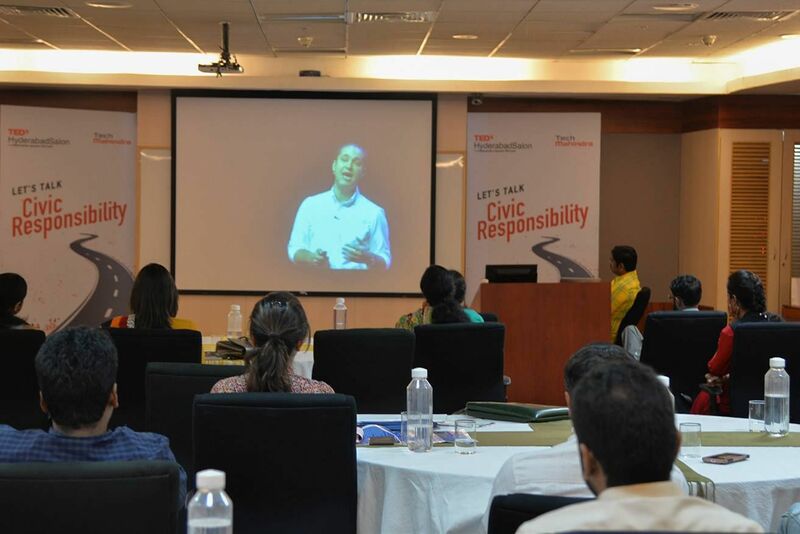 The community event, TEDxHyderabad Salon in 2016 paved way for the idea in conversation with ‘Smaran’, an NGO working for water and soil conservation. 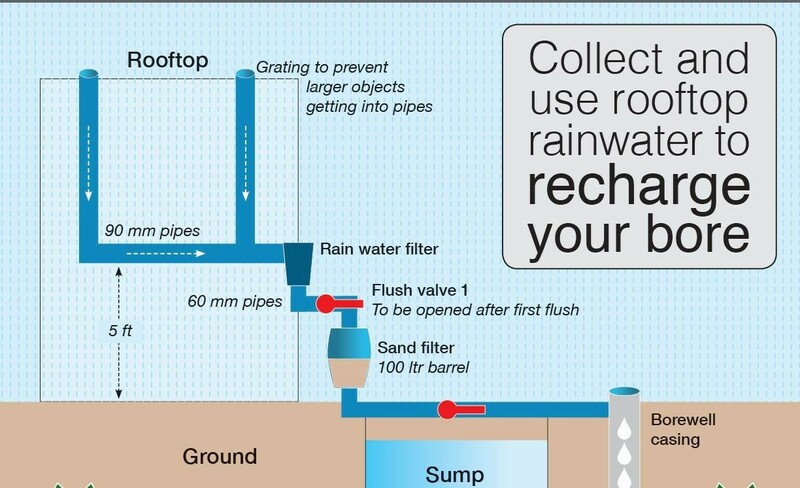 Simply put, the process involves channelizing rainwater hitting the rooftops through a four-inch pipe into the dwelling’s sump through a filter or directly into the bore. The data from Central Groundwater Board reports that the average level of the groundwater table in Greater Hyderabad was anywhere between 10 meters and 20 metres; while in areas close to the Musi river it was around five metres, in places like Banjara Hills and Jubilee Hills it was between 30 and 40 metres. So, all it requires is one rainy season to recharge the bores. With statistics and plan in hand, the non-profit, Society for Advancement of Human Endeavour (SAHE), a community partner of the TEDxHyderabad events together with the NGO Smaran and the Hyderabad Software Exporters Association (HYSEA) designed the initiative ‘Save 10k Bores‘ with a focused aim to charge up the bore-wells in the city. The detailed plans and resources were made available on SAHE’s website, with cost effective models for each of small homes, apartments, and gated communities. Small homes need only one plumber, four hours and Rs. 15000 to restore the defunct or dried up bore-wells as reported on the website to replenish and recharge their bores every rainy season. With an active social media campaign and several enthusiastic community volunteers involvement, the initiative was able to restore around 150 of bore-wells in the city and is focused to achieve better results in this coming year. Due to rains and better groundwater harvesting methods through this initiative the level currently stands at 8.60 MBGL. Though, a good statistic, there is still need for improvement due to consistent rise in demand for water; a problem which Save 10k Bores initiative is trying to solve. The Salon was again organised in May 2017, with a focused goal to take this initiative forward for not just borewells but also to revive other water bodies in and across the city. On that note, this talk by David Sedlak, which was screened at the event, shares four practical solutions to tackle the ongoing urban water crisis by shifting our water supply towards new, local sources of water and create a system that is capable of withstanding any of the challenges climate change may throw at us in the coming years. In the event thought leader from various disciplines were invited to form a call-of-action to further the initiative with help of the attendees and the community. The need to conserve step wells in the city and to create it to be a social and cultural space by active community engagement through encouraging adventure campus for architecture students or trail walks by Hyderabad Trails and Hyderabad Adventure Club. Another NGO, Kakatiya trails is an active part of heritage preservation of the culture of the city of Warangal. To actively use technology to educate the community about water conservation. To restore and conserve the existing lakes which have unusable water due to pollution and garbage as they are our largest catchment for rainwater and groundwater recharge. 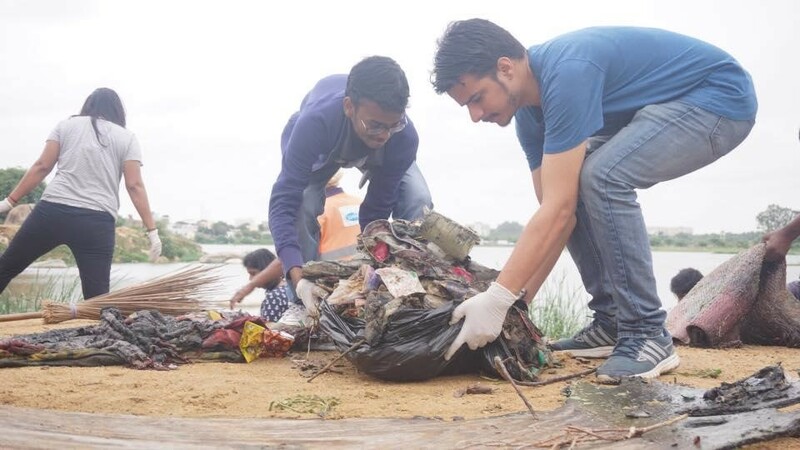 Just a few weeks after the event, several NGOs and volunteer groups have come together to to align and amplify efforts towards lake conservation and greening. 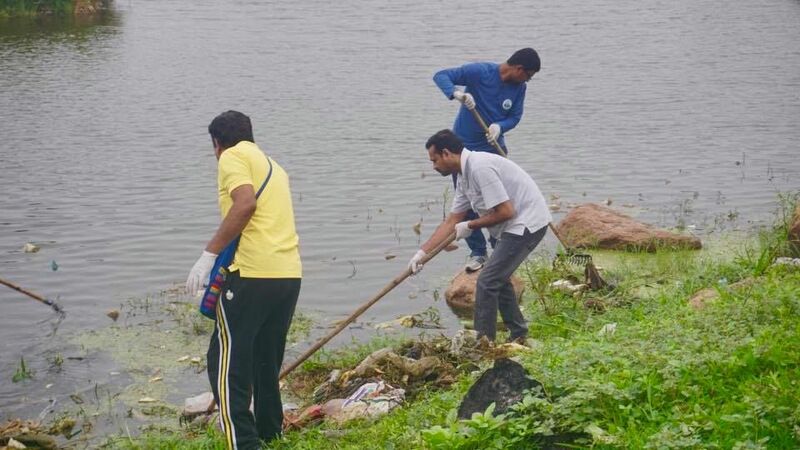 These groups will work with GHMC and Irrigation Department to identify 62 lakes in Serilingampally area as the initial target to restore and conserve. With the community engagement through small yet impactful events like these which play a key role in creating a sustainable future for the city, it is indeed a fortunate time for Hyderabad to be hopeful again.